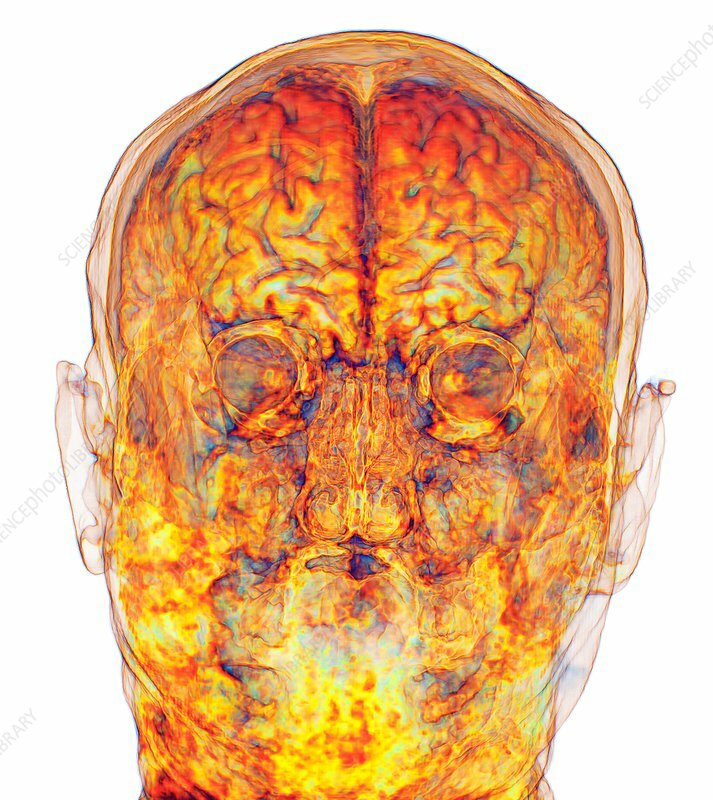 Human head and brain, coloured 3D magnetic resonance imaging (MRI) scan. This frontal coronal view includes the eyes. The ears are also visible.